I really don’t know how popular this movie is. I’ve loved it since it came out in ’96, but a friend recently told me that in his film class, nobody but him could name a Peter Jackson movie before Lord of the Rings. And after he named it, these kids still weren’t familiar with it. What are they teaching kids these days? 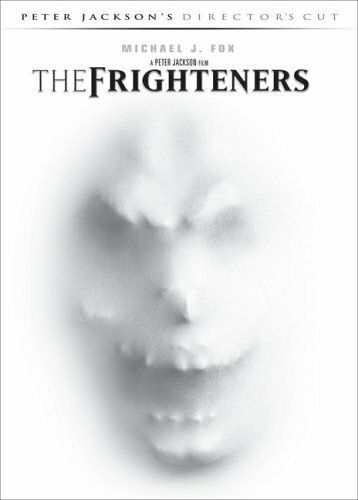 The Frighteners is the story of Frank Bannister (played by Michael J. Fox in one of his last roles), an all around strange guy. He’s in the business of ghost busting more or less, barely getting through life by exorcising ghosts/ spectres who just won’t leave suburban homeowners alone. While some think of him as a fraud, the catch is that he is a fraud because he actually works with the ghosts he’s supposed to be getting rid of, making a sweet, albeit rare, paycheck. Trouble starts when familiar murders begin happening around town and Frank might be the only one who can stop them. That is, if he’s not the one who takes the blame first. This movie is also on my Top 5, just to get that out there. It’s also my favorite combination of genres, blending horror and comedy. When done right, this is a great fusion. This is done right. As mentioned above, this is a Peter Jackson movie and he notes it for filling the gap between his Indie/ Low Budget side (Heavenly Creatures and Forgotten Silver, 1994/5) and his mega huge Fantasy trilogy (LOTR of course). Even though it made just under it’s budget, Jackson seems to recall his experiences with the film positively, one example being that it helped him become much more experienced with the computer effects that would be such a huge part of LOTR. This one also has a great cast that never really seems to have found their place in Hollywood; or maybe has found their place and it’s just not what people think of when the idea of Hollywood success comes to mind. Jake Busey (Yep, crazy Busey’s son) plays the villain with all the manaical glee you’d expect a serial killer to have. He plays it so wildly that’s it nears cartoonish levels. But when you see it in context, it feels right. I also want to note that this places Busey on two of my childhood favorites list: The Frighteners and Starship Troopers. Yes, that guy, with the blonde hair and big teeth. Chi McBride and Jim Fyfe play the mainstay ghosts in Frank’s business. Picking up babies and throwing them around, lifting up beds and making uncooked chickens walk, all to make it appear as though the targeted place is haunted. Both are stereotypes of their respective races with McBride as an ,bell bottom-wearing, hip black dude while Fyfe is the nerdy, uptight, white geek who died with his Letterman jacket on and isn’t too confident in himself even in the afterlife. Even still, stereotypes are easy to write but making you care about them (even if they are dead) is a challenge in itself and it’s one that this films pulls off well. “Do you smell that? Smells dead.” OH! I’m here all week. Jefferey Combs (From the Re-Animator series) is here playing the weirdest FBI agent you’re like to come across in probably any type of media. You don’t know whether to laugh at him or be scared for the characters around him when he gets in his stride, if that’s what you can call it. He’s the most quotable by far as a few family members and I still randomly repeat his lines whenever the opportunity arises. It’s more often than ya might think. Michael J. Fox is exactly how’d you’d expect him to be: fast moving, quick witted, and a bit more cynical in this than his Back to the Future counterpart. Of course it was going to be brought up, I freaking love those movies. In any case, when you watch this one, you’ll almost immediatey sympathize with Fox’s character; a man who’s dream house has gone unfinished for years and he’s so poor he cuts off pieces of his own house to make firewood for the night. Times is tough. 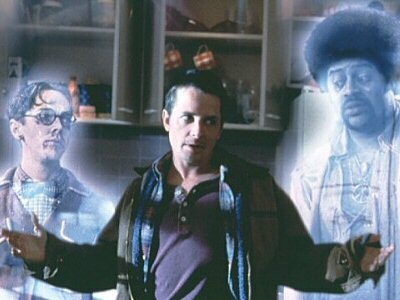 But of all the great performances in this The Frighteners, the best would have to be played by that of the antagonist of our story: The Reaper. This thing is pure evil. With a classic outline for what you’d imagine the Grim Reaper to have, including the hood and scythe, Jackson and his concept artists still managed to give him their unique twists, such as having the character phase in and out of interacting with physical objects. He crawls just underneath surface levels to prey on his victims, the carpet or wallpaper forming against his body, but it doesn’t prohibit him from revealing himself entirely. And since Frank is the only one that can see him, it makes him that much more difficult to catch. He never stands upright and seems to be in constant movement, complete with gutteral growls and spindly, clawed hands. After watching Kong and LOTR’s Gollum, people probably wouldn’t think it too weird to have a character like this guy as the standout act but back in ’96, this dude was state-of-the-art and more, which is one of the big reasons I’m writing this now. I hate how critics will tear a movie apart for no story, but only quickly mention that the special effects are “good.” Whoa, sucka! Listen, I know you need more than just eye candy in a movie, but don’t skip over it in films where special effects are a huge part of what makes the movie. Special effects, story, characters, fast pacing, funny, freaky…all make a good movie to me. A few years ago, I had some friends over, including this girl I was interested in. It was time to pick a movie and being the clever guy I am, went with this one. The company I was entertaining was less than excited at about forty-five minutes in and had me turn it off to put in a free copy of Nacho Libre. I don’t even know where it came from. Point is, this movie is not for everybody, but if you can laugh at the horrific while marveling at the effects, you’ll want to watch this. I’ve also included this fanvid that I made for it a couple years ago because I’m that much of a nerd for this movie. Don’t watch it if you’re afraid of spoilers. This entry was posted on 02/13/2012 at 4:24 am and is filed under You've Gotta See This with tags Michael J Fox, movies, Peter Jackson, The Frighteners, zombies ruin. You can follow any responses to this entry through the RSS 2.0 feed. You can leave a response, or trackback from your own site.